I am still working on my large figurative painting – I hope it will be finished in the next days. But I really needed a break from this and so I did some Rose paintings. 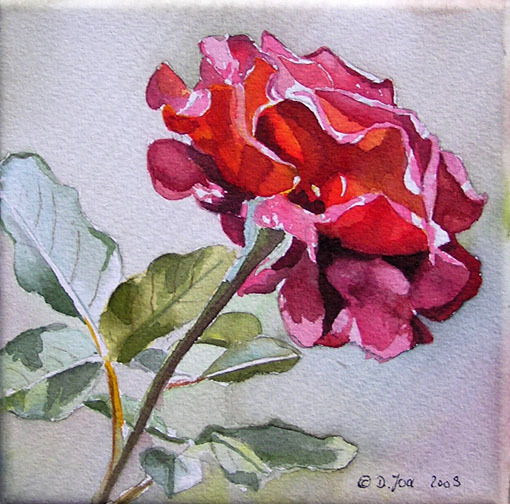 The Red and Yellow Rose are small ones, 6×6 inch. 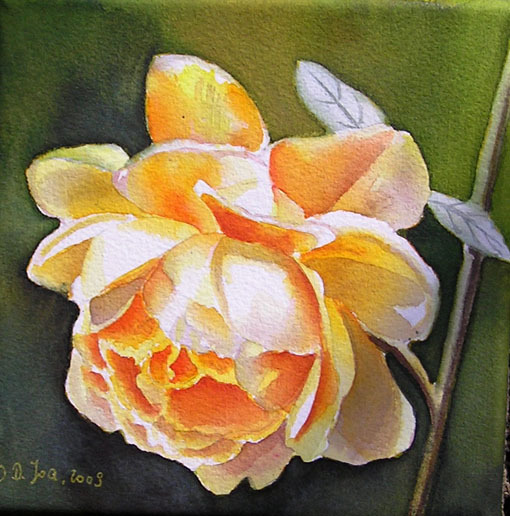 The Orange Rose is in the size 6×16 inch. All three are done in watercolor and painted on stretched watercolor canvas.